We are Augie and Olaf we have toys galore, but love our Toy Box most of all! Mom and Dad take us on adventures all the time. 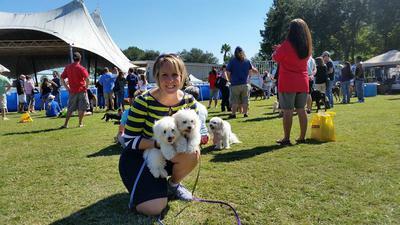 We go do dog festivals, community Coton De Tulear picnics and romper time in our own back yard. Comments for Cousins by blood, Brothers at heart. 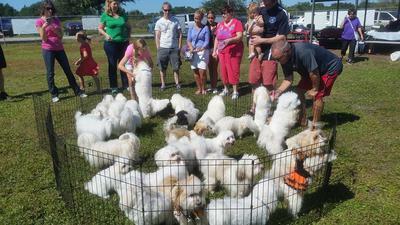 I will have the local breeder who organizing the picnics add you to the email distribution. They are just the cutest together. Simply gorgeous. 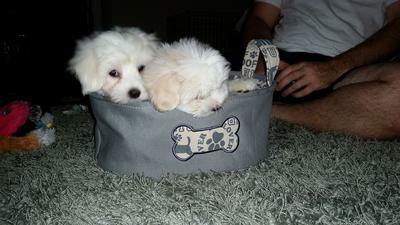 So cute and such lucky dogs to have each other and loving people to care for them. Looks like they have so much fun. 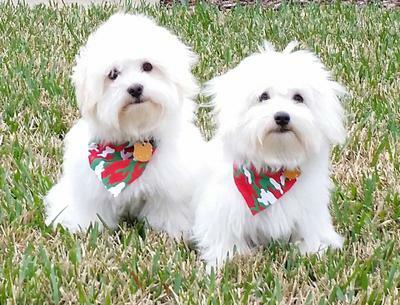 I wish there were more Coton's in my area so Bailey could play with them. Thanks for sharing.